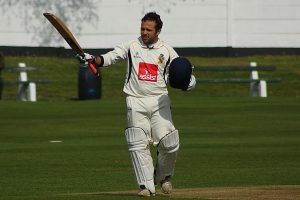 Littleborough CC are delighted to announce that Travis Townsend has been appointed as our Professional for the 2019 season. The South African all-rounder joins from Heywood after a 2nd stint as their professional following a period with Greenmount. Travis has a proven track record in League Cricket and during his time at Heywood scored 3,126 runs at an average of 39, and took 162 wickets at 15.56 runs apiece. Everybody at the club was impressed with the approach of Travis and the reaction from our young 1st XI when he was our sub professional in the games against Great Harwood & Clitheroe last season, both games that we won. With the potential of our senior squad who have proved themselves in our first season in the JW Lees Lancashire League and the leadership that Travis will provide as first XI captain we feel that we are in a good position to challenge for promotion to the top division.